Spring Break team from Baltimore at La Haciendita. April has been a very busy month for us with the DMT students heading out on outreach and two Spring Break groups coming to visit at two different locations. I have driven over 4000 miles through Mexico the last six weeks, visiting many of the churches and pastors in the south and setting up the outreach dates ahead of the DMT team's arrival. The ministry in Oaxaca that started on the island is growing as the new Christians from the island go out and evangelize with Lalo and Michelle. 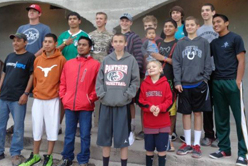 They have purchased a piece of property in the town of Arroyo Tigre where one of their new missions is located and will begin work to build a new church there this next month. We will help with the church construction costs there. If you would like to have a part in building that church you can send donations to the ministry office marked Arroyo Tigre ordonate online here. We are also building a new church in the village of Sasub near the children's home. While traveling in the south with two of the Mexican organization's board members, we welcomed 12 new pastors into our fellowship and several new churches. Many of those pastors were indigenous Indians. We now have four different native dialects represented by our churches and several sub-dialects as well as the Spanish speaking churches. We are working in six different states in Mexico now. We are almost ready to begin our summer trips. If you are interested in coming, we still have room and you have time to join one of our groups. The areas we work in are safe and the trips are very comfortable. I can guarantee it will be a memorable experience, as you are able to use your gifts to touch others on the field. Contact Roger for more information. 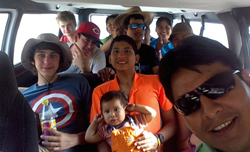 To see what a trip looks like you can go to the trip blog and share the experiences and photos from our Dr Arroyo spring break team this month. As the ministry continues to grow and hundreds of lives are touched, we are so thankful for each of our prayer and financial partners. You make all this possible. Thank you for sharing Christ's love and making a difference in so many lives. 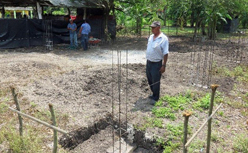 We are almost ready to purchase the property for the new children's home. The surveyor came and the new property is 165 feet by 330 feet. We lack just a little bit of having enough to pay cash for the entire property. We hope to begin construction this fall. Right now we have 6 children. Our newest girl arrived last week. Only one of the children are in public school. The rest are being educated at the house using materials provided by the government. We hope to be able to send the two youngest to public school next year. Please pray for this ministry as we share the love of Christ with these children that have been so devastated by life. You can support this work financially here. 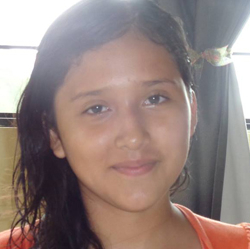 Training is over and it is ministry on the front lines as the students are busy in the State of Veracruz. They have already worked in the states of San Luis Potosi and Hidalgo and they are headed in the next few days to Oacaca. It was a difficult transition going from the cool weather of Dr Arroyo, where they worked with the spring break team, to the 100 plus and high humidity of the tropics. You can follow them on their team blog and pictures that Dennis posts each week. Copyright © 2015 Dayspring Outreach Ministries, All rights reserved.